I look back at my childhood and try to remember what it was that laid the foundation for my sensitive body’s struggle with this affliction. I remember the horrors of childhood in the Catholic school where the nuns terrified me and I would hyperventilate at night, thinking I would die and go to hell. I think about how difficult it was growing up in a big city with the polio scare surrounding us. I remind myself that even though I was an anxious child with a stern, angry father and a passive mother, I no longer have that kind of trauma in my present home life. I try hard to keep my life manageable, although not too restrictive. Then, I remember the more important and positive thing about flare-ups: they don’t last forever! They eventually subside and fade into the chronic, less debilitating fibromyalgia I have lived with for decades, until the next one. The most frightening thing about a severe attack is wondering if this is an unusual episode that is unrelated to fibromyalgia. Pain that brings about loud gasps, moans and outward signs of distress can be frightening to others, but even more so to myself. Is this fibromyalgia or something else I should be attending to, I wonder? If I suspect it is the same demon, I ask myself: what happened in the last few days to bring this on? It becomes easy to blame myself for excitement, over eating, or pushing myself too hard. But, if it is beyond my control, as in a weather change, then I relax somewhat and wait for better weather conditions. Living with fibromyalgia is a constant up and down handling of life events. Some days are not so painful or filled with fatigue while other days require almost a withdrawal from life for awhile. It requires courage to pick myself up and start over again, knowing I am often spitting against the wind. The old childhood tragedies help form this personality of mine and I can’t go back and do it over again. Flare-ups come and go. Life goes on and spit happens. As my sister says: “Grow where you’re planted”. All things considered, there are joys to be savoured, especially when the flare-up ends for awhile. Thank you for sharing, and I must say – what timing. Yesterday I put myself on a “timeout.” I call a “timeout” when I experience a flare, and experience one I did. My husband, sweet caring man he is (I am VERY lucky) reminded me that the flare-ups don’t last forever, and that I had been doing so well lately. He is right, of course, but it is sometimes hard to see that through my exhaustion, discomfort, etc. During a flare, I am vulnerable to black thoughts and questions that manage to sneak into my head; and, as you pointed out, the speculation that something else might be terribly wrong. I am feeling a bit better today and have been able to go out for a walk. Tempting at times, but becoming a full-time hermit is not an option! I hope that you are also feeling better and that your pain and other discomforts have subsided. Oh Kristy: Thank you for your comment (I needed it!) as when I wrote this blog yesterday and the day before I was in such pain and had terrible nights. It was raining day and night, so no doubt that contributed to the episode. To-day after a difficult night I am more hopeful. It is finally sunny after weeks of damp weather and although the flare-up has not entirely subsided(this is a bad one) I can see through the maze! I too have a sweet, caring husband and am sooooo lucky! They suffer too, those wonderful caregivers! Oh, good, I am glad your flare-up seems to be subsiding (at least a more manageable roar?) Yes, it is hard for our caregivers – especially when the “normal” means of offering a bit of comfort is out like a touch or hug. And, sometimes I get so grumpy….ack! Grumpy is the right word. Yesterday I could not utter a civil word. Then comes the guilt! ha! that’s fair – I got “hermit” from you! re: flare-ups – why do I feel guilty? why can’t I do more? Am I at fault? Flare-ups are. They happen. I am going to continue living my life (not become that Hermit, which I am sure would have its own stresses.) WE are not to blame. Just a quick question, has anybody tried brain state conditioning as a treatment for Fibromyalgia? Thanks for your query Valerie! This is an amazing coincidence as just yesterday I read from Annals of Medicine an article by Atul Gawande in The New Yorker called: The itch: Reporting & Essays. http://www.newyorker.com The author reports on a new theory about brains and bodies. While it is heavy plodding through it does coincide somewhat with David Butler and Lorimer Mosley’s theories as well…what they refer to as motor imagery. Diane Jacobs describes her method of manual therapy as ‘dermoneuromodulation’ which is also in line with your ‘brain state conditioning’. It was my physiotherapist, Nick Matheson who has researched this approach and these experts and we are together going to explore it in conjunction with my Stress Eraser apparatus! I will keep you informed as to results. However, I suspect it will not be a quick fix. I can’t erase decades long brain patterns quickly but am willing to try! Dr, Keddy, Thank you. I discovered your blog while searching for articles that I might be able to link to on my own blog. I used your article at dalnews.dal.ca http://dalnews.dal.ca/2008/05/12/fibromyalgia.html on my blog associated with “The Invisible Disease”. Thank You Kimberly! Having another flare up right now so writing is slower than I would hope, but will attempt to write an article this week-end. Stay tuned! I’ve just found your blog and it’s certainly going to be an interesting read for me. Last year, in December, I started suffering unexplained pain and fatigue. Over the course of 10 long months I was pushed from specialist to specialist, had what felt like gallons of blood taken for tests, and was told that I was just tired because I was depressed. Finally I ended up yelling at my GP that the only reason I was depressed was because I was in so much pain and constantly exhausted. It’s hard to stay upbeat when you can’t do anything you used to do. I’m 18, and I’ve yet to meet anyone else my age with Fibro. I know many women who are middle aged or older who have it, but I feel completely alone in my age group. Unfortunately the friends I do have don’t quite understand that I CAN’T do the things I used to do, and if they want to see me they have to come to me, because I simply cannot get to them. I have no idea how to best go about taking care of myself, I’ve taken enough pills in the last year that I’m going to start rattling when I walk! My doctor is no help, I just can’t seem to get any information for how to go about my life now. People tell me to pace myself, but that’s easier said than done. Some days I can go out for 3 hours and come home fine, other days within 10 minutes I’m in agony or exhausted. As it is I only leave the house if my mother is with me, and even then I only go out one day a week, if that. Thank you for this blog. I intend to order a copy of your book ASAP and hopefully it will help me better understand this invisible disease. Your comments are so very heartbreaking as I don’t often receive many from teenagers. This is an area that has been badly neglected and many health care professionals don’t believe there is anything wrong with people your age who have fibro symptoms. If you are young you are expected to be healthy. Looking back over my life I believe I had fibro as a child but then the word did not even exist! How to take care of yourself is not easy, I understand that completely. Yesterday I felt rather good and overdid it and by night time I was flaring. To-day I must be very restful and kind to myself. It’s a vicious cycle. If I haven’t learned at my age I expect it is much more difficult at your age. Pacing is the most frustrating process. Living with fibro requires patience, knowing it is a slower life style than those of your own age, but most of all learning not to be angry with yourself on bad days. An understanding counsellor would be helpful or someone you could talk to who could help you with stress management. Have you tried a meditation class? Light exercise? All of those suggestions have helped me in the past, both to understand what brings on a flare up and to find ways to reduce the amount of stress of living with pain and fatigue (and ultimately find some degree of peace). Learning more about the nervous system and how pain is triggered in the brain is very helpful too. Pain management is key for fibromyalgia people. I do wish you weren’t taking so many pills as most do not help. My thoughts are with you during these challenging times. Also do not despair! As more information becomes available there is hope! You have to become expert of your own body. I just found your website after looking for more information on Fibromyalgia. I am 22 years old and got diagnosed with FM in July of this year. I went in thinking that I maybe had arthritis because my hands hurt so bad i couldnt even close my fists. I have always known that I am not a healthy person (I have had unexplainable pain since I was about 16 after getting Bacterial Meningitis, basically the doctors told me that I was lying because they couldnt figure it out). I am actually in my 2nd episode right now and even though its not as bad as the 1st, its still hard to explain to anyone. My boyfriend tries to help me as much as possible but there really isnt anything anyone can do for it. I am currently taking Baclofen and Robaxin for severe muscle spasms (i even get them in my bladder! talk about seriously painful and disturbing) and Doxepin for sleep. The doxepin isnt working anymore and i have no clue if the spasm reducers are really working or not. I get migranes at least once a week and i feel every day like the crappy achy feeling when you have the flu. Nothing seems to help that. My doctor is awesome and she recently discovered that i probably have RLS along with my LONG list of other symptoms which include: sleep problems, GERD, Asthma, headaches, severe tender points, irritable bladder, bowel problems, etc. I do yoga which seems to help me sleep and i either take a hot hot bath or go in the spa nightly before i go to sleep to help me relax enough. I truely believe that there is a problem with the brain because it seems like mine is so constantly active, thats why i cant sleep right. I will fall asleep and wake up feeling like i never slept. then on the weekends i will sleep like 12 or more hours. OR i can even have nights where i cant fall asleep for anything. I have tried the whole diet thing and it doesnt seem to work either, the only thing i SERIOUSLY suggest staying away from is Alcohol. I know i can tell the difference between when i drink and when i dont. its not worth it anymore. I know the boat you are in, I’m in it too. No one really understands what you are going through except those who have it. I think it can be worse when you are younger because it makes periods HORRIBLE and i am not looking forward to pregnancy only because of the pain. Hang in there. If you want, we can be like each others support. via email if you want. It would be nice to have someone to talk to that understands instead of feeling like i am just complaining all the time. just remember, the first step is acceptance. Once you have accepted it everything else becomes a little easier. You will have flare ups and days that are much worse than others, but it does become liveable. At least if you accept it and know that you will have issues with it then you can not be in fear of it. Fear only makes it worse. Just remember, it is what it is and move on from there. It is bitter/sweet hearing from young women like yourself. I am happy if the blogs, book and comments are helpful but sad that there are so many young people suffering so badly. Like you I believe I developed FM at a younger age and of course no one even knew the word for it. I often felt like I should not be complaining so much and yet it was difficult to keep up. Linzie, the phrase “it is what it is” feels so appropriate. I feel like writing a blog with just that title….hmmmm! Thank you for your story and encouragement to Victoria. Yoga, meditation and hot baths to calm our over stimulated minds …. key tips for us all! About Flare-ups. I have had this condition for about 10 years but have only recently been diagnosed. I have noticed a pattern in my flare-ups recently. Every time my periods are about to start, it gets pretty bad. Just about all my symptoms come at once and extreme fatigue is about the worst. The pain and the fatigue last about a week. A week where it’s pretty intense. Of course low energy and aches and pains are always with me but it shifts, a little bit of this and that over the month with being tired all the time. I have noticed for a long time that I would pretty much be out of it for a week or so a month, but only recently have I realized it occurs just when my periods are about to start. Has there been any occurence about this somewhere? In all the literature I have read since being diagnosed I have not seen any mention of this. Thank you for this blog, it has helped me realise I am definitely not alone. This is so misunderstood by so many. I am a single mom in my 30s with three kids. I work full time. Don’t really have a choice even though there are so many mornings that I wonder if I will make it through the day. I used to be a very active person. Fit. I trained to be a police officer and was in a lot of sports. I grieve my lost abilities. Most people around me think I just got lazy. My home is not what is used to be. I hate the brain fog, losing my words, havng difficulties making connections. People call me absent minded. KNowing that a succesful person like yourself has also had to deal with becoming someone new, someone who could amost lift mountains to someone who has trouble lifting an ant hill on a bad day helps me to understand there are really others out there like me. I would love to have Vicki’s email and dicuss the flare ups right before periods. This happens to me every month. Enjoyed reading these posts. Thanks for all the info. Vicki: If you read this blog and would like to share your e mail address please let Vicki M know through my e mail address bkeddy [at] dal [dot] ca and I will pass it on. I don’t keep e mail addresses nor would I share them unless explicit permission is given, I would also need Vicki’s e mail.Sounds complicated (especially since you share the same name!) but it could work! Thank you. Thank you all for sharing. I’d write more but I’m toooo tired! but needed to/wanted to say thank you. I can so relate to everything here. I too have looked and thought back over my life and believe I had fibro as a child and I fear so does my beautiful 27 year old daughter. Thanks so much, I could have written this and so many of your comments and posts myself as well. So sorry, I meant to write (foggy!) that I’m 47, have lived with fibro for 10 years. Developed after a complete hysterectomy. At least that’s when it became apparent! Thanks again. Dear Jennah: You are a brave woman as are all fibro sufferers.I am so sorry that you believe your young daughter has it as well. THERE IS INDEED HOPE! Together you can practice mindfulness meditation, diaphramatic breathing, exploring different movement strategies. They can work! Keep on being hopeful!Best wishes to both of you. I was diagnosed with fibro a few days ago and I am so scared ( I am crying as I write this). I have been in pain since April approx a month after a car accident where I sustained minor whiplash. I have had so much pain – extreme stomach bloating, aching til I cant stand it in my ribs and left shoulder, chest pains and fatigue. I have a lot of anxiety over what is happening. I have had to call an ambulance about 6 times since this started as I didnt know what was happening to me. Since April, I have had a gastroscopy, colonoscopy to explain stomach swelling and intense chest pain – all normal function. A CT scan to look for aortic aneurysm – normal result, xrays which show moderate spondylosis and narrowing of vertebrae in the cervical and thoracic spine. The pain concentrated to my upper left quadrant. The stomach issue seems to have subsided (hopefully for good) but I find sitting at a desk for hours at work ends up giving me intense shoulder and back pain and stomach upset. I saw a pain specialist the other day – after a very cursory exam, he said you have fibro , handed me a script for a pain med and anti depressant and that was it, no explanation no further investigation about my symptoms at all. I am not even sure if I really do have fibro. Can anyone on this forum tell me their opinion as true sufferers of fibro? First of all, please take a deep breath and focus this breath on the diaphragm. You must do this often during the day. Secondly, do not panic. I know that it sounds like the pain specialist is callous but that is because most physicians do not know much about fibromyalgia, nor what to tell their patients about it. If you have had all these tests and there is nothing to be found, it is time to calm your nervous system through several means. The car accident certainly gave your nervous system a jolt and it needs time to quiet down. Yours is a typical story of ‘symptoms’ following a car accident and given a diagnosis of fibromyalgia. It is important that you learn all you can about the relationship between the nervous system and the brain and how you have not only messaged the brain to “take flight” but also to “freeze” (Read: Waking the Tiger Healing Traumain some of my more recent blogs). You can e mail me at any time for support. Take 20 minutes at the beginning of the day and meditate. Sit quietly,breathe, and as persistent thoughts keep occuring, gently let them go and concentrate once more on the breath. It isn’t easy. It is particularly difficult when your anxiety level is so high. Try to focus on ‘moment to moment’ living through the day, that is, as new bodily sensations spring up during stressful thoughts focus on where they are. For example, are you scrunching up your shoulders? Be aware. If so, movement is important. Shake them, Let your body move in any direction it wants to. You must keep moving to unfreeze your pain maps. There is so much available out there now to help remap your brain (see the blog on “the pain is in the brain”). It takes discipline, there is no easy ‘fix’. What medication were you prescribed for pain? Was it Neurontin or Lyrica? Let me know how this works as I have discovered other non-medical tips which are helpful. thanks Barbara. I do not think I have it. I am concerned that there has been no more intensive blood tests done to unequivocally rule out other more sinister conditions. I was prescribed tramal which I do not intend to take. I am going to look into more natural remedies for pain. The best NATURAL remedy for any pain is diaphragmatic breathing! Take care! B.
I thought I had everything under control! Boy was I wrong. The first go around, it took three years and a dozen doctors, tons and tons of tests, physical therapy for six years, before I finally quit trying so hard and started to build life anew as a child taking first steps. Now, as a mother of a 10-year-old special needs child, I have had a flare up that feels worse than the first. Perhaps it’s old age setting in, arthritis making everything creek, or just the lousy weather that we have had this year, but it’s been over a year that I’m fighting with my body trying to remember to breathe, relax one muscle at a time, etc., etc. I just cannot accept that another dozen doctors later and I’m back where I was thirty years ago. One thing I will share is that those of you that are younger and going through this, please get copies of all your reports for safekeeping and even when you feel better and get back on your feet, make sure that you have a doctor that is following you. Unfortunately, I have learned the hard way that the changes in the medical industry have pushed out a lot of good doctors and with them my records. Not only that, but doctors still don’g have a clue what fibromyalgia really is and how intense the pain is. I’m so tired of them saying others live with it, you have to when I can barely breathe this time around due to the back pains, etc. Good luck to all. Remember to B-R-E-A-T-H-E !!! I am sorry for your pain. Although I am middle aged now, I have suffered since I was very young. It was very difficult for me then as I had yet to be diagnosed. I clearly remember having to sit down alot more often than my friends, and thought the pains I had were “normal”. It has been a struggle, thinking I was simply “lazy” or a wimp or something. I am 45 now and have 3 grown and nearly grown sons. I work as a welder/general repair person on the boats (lakers mostly). This is a job that is to hard for your average man, but I manage, as a woman with fms cfs, and I do it well. I find I am desensitized to the cronic pain and can fight through the fatigue(mostly), and the fog you can learn to laugh at. So chin up, you can still do what ever you want. I’m not saying it will be easy, and I have flair ups that I just can’t fight (getting worse the last few years), but if you are determined you can still have it all. Most people consider me a very happy person, because on my good days I don’t just walk, I skip. I have a hightened awareness and appreciation of the good things in life, and truely believe, as strange as it sounds, I am a happier person than most because of my illness. Having a horrible flare up!!! It has gone on now 6 months. IDK what to do. I live in a place of severe drug addiction, so my doctors want give me pain meds due to the severity of addiction. I am not addicted I just live in that east TN ring of drug addicts. My doctor want give me but 20 darvecets a month. What a laugh. I wish the doctors this pain just for one week. Exercise thats a joke! I can’t do the dishes without going to bed for 3 hours afterwards. Talk about fibro FOG well walk around talking to your self long enough to remind yourself repeatedly that you are going after a drink in the refridgerater and “you took to much medicine”. “I haven’t taken anything” I say “Yes you have or you wouldn’t be talking crazy and slurring your words” they say. I’m sick of this. Oh what a life to live. The pain is worse than the flu. I have suffered with normal “ordinary” fibro pain and stiffness since I was 13. However it has just been diagnosed. I’m 33 and am just now having a “flare up” Never took nothing more than an 800mg Ibuprophen before. Ha Ha Ha thats a joke now been at er and thrown out due to going to much and getting pain shots. I cannot take the fibro medicnes cause I have extreme side effects and allergies. Like I said I don’t take pills I don’t drink I am one of the best caring loving people you ever met. Until now. I can’t even stand to hear certin voices or sounds they vibrate through my body like a jackhammer. Well i guess I shouldn’t complain but I don’t have anyone to say it will be okay. My husband says get up exercise thats what the doctors said to do. My children just and I quote “deal with it”. They can’t have friends over because I am to sick. My 16 year old cleans the house my 10 year old messes it up again. I have no friends and no family close by so there it is. MY FIBRO LIFE!!!! Sorry if I am a downer. I have been far to sick far to long!!!!! Thank you for letting me know i’m not alone. I have read many of my symptoms on here. Funny how the “fibro” networks don’t mention the low grade fevere and the swelling and the numbness and the sound and light sensitivity etc……………. Dear Claren: I am happy that you found the numbness and sound and light sensitivity on one of my blogs. It seems to me now that I have covered so many of the issues that afflict us! You’re right too that exercise can be overwhelming especially when having a flare up. you have my complete understanding about what a ‘fibro life’ is all about and you are right that you are not alone! Thank you for answering back. Where I live I can’t find anyone to talk to about this. I feel so alone!!! I feel like putting an add in my local newspaper needed someone to talk to about fibro. LOL LOL How do you explain to people that have never heard anything about fibro that you have “fibro fog”? Even some doctors don’t know what it is. Anyway thank you for answering my letter. And keep all us fibros in your prayers!!!! Dear Barbara, Claren and all, may I join in? I am 66 years old. I have fibromyalgia and rapidly progressing assymetrical neuropathia. So, I have flare-ups every day where I hurt all over and it is compounded by numbness and tingling on the entire left side of my body. And, I just recovered from breast cancer in 2008. The chemo therapy left me with chemo brain so I am at a loss for words (I forget things and most importantly a lot of my vocabulary). Because of my illness my only child, my son and daughter-in-law threw me out of the family and I am no longer allowed to see my beloved grandchildren ages 10, 15 and 17. I miss them so much. It makes me cry every day knowing that I will never ever be able to see or speak to them again as long as I live. I am not even allowed to call them on the telephone even though they live about 3 miles away. I miss them more them words can say. My daughter in law has told everyone that I am crazy. I went to a psychiatrist and he spent two hours evaluating me. He said that I am NOT crazy but that if I stay around her much longer I will be. I still have to work but I don’t think I will live much longer. The sadness and lonliness is killing me. The flareups are getting worse. I do, however, have good doctors who give me enough medicine to get rid of the pain because my sleep study proves beyond a doubt that I do not sleep because of the pain. And, I just had 3 MRI’s on Friday so the Neurologist is trying to find out why I am losing feeling in my arms, legs, and now my lip and tongue. So, I’m glad to find someone on a blog who is like me. Boy this disease is the pits. I just hate being alone. People look at me and they think I am okey dokey. NOT. I am so weak that a feather could knock me over. Good luck girls. I need to go back to bed after writing this letter. God bless each and every one of yhou. This is Jai Dean, and I’ve been frequenting your discussion board for the past year or so. First, thank you for putting this out here, such a wealth of valuable information, certainly much that I have gleaned from as a Fibro. I’m writing to let you know of an anomaly that has occurred with my Fibromyalgia that I consider to be noteworthy, and perhaps you will too. It never occurred to me to question any other health issues as I laid there in pain, I merely chalked it up to another Fibromyalgia demon rearing it’s ugly head. Finally, hours later my spouse came to check on me, and insisted that I take my temperature. I did, and actually had a 102 fever. So to the emergency room we went. To make a long story shorter, I had an appendicitis! Before being rolled into surgery, the surgeon came to speak with me about my CT Scan results. She mentioned that there was a pin-hole leakage, and that it needed to come out. Everything happened so fast. The surgery went fine, recovery was swift, and I immediately noticed a difference in my overall general health. My stools became regular for the first time in my life, the bloating in my gut was significantly reduced, (extremely visible). And, I felt good for the first time in years! When I went to my post-op appointment with the surgeon, I mentioned these things to her and she said that about 5% of people actually have a chronic form of appendicitis, whereas the norm would be deemed an acute condition. We explored the conversation further, and she believed that perhaps mine had been leaking very slowly for a very long time, thereby making my body toxic. Hum…. So in conclusion, could the anesthesia, or appendix have been a factor in the cessation of symptoms? I’m curious to know how many fibromyalgia patients have their appendix, and how many don’t. Is this in any way connected? Also, how many others have had to undergo surgery since having fibro, and have experienced similar results, lending to neuro changes? Is this a track worth exploring? Thanks for your time, and blessings to you. As mentioned in my correspondence above, the onset of my Fibromyalgia symptoms began in 2005, and my story picks up from there. However, I thought that while I am here sharing this information that I would take a moment to include the following for consideration and review of fellow readers involving what happened before that. I believe that we may be onto something significant here in terms of discovering & determining some of the mystery surrounding Fibromyalgia and it’s daunting family of associated health quandaries. There are so many areas that have been documented and researched up to this point as we already know, , yet still a few that have been overlooked in connecting the dots. Prior to my personal onset of Fibromyalgia symptoms, I had gallbladder surgery in March of 2005. Immediately after the surgery is when my on-set occurred. As a matter of fact, I had to make an emergency room visit within the first 24 hours of being discharged due to severe lower left abdominal pain (which was not surgically related as the incisions were on my right side. ) Little did I know at that time, that that would be the beginning point of living with chronic pain for a number of years. There appears to be a distinct connection between the fact that the onset of symptoms occurred immediately following *SURGERY* and the fact that they *CEASED* following a second *SURGERY*. Common denominator= *Anesthesia*. We’ve already established that CNS is grossly involved with Fibro patients. If we break it down into simple terms that all of us can relate to, this is how I would describe my understanding of the correlation: Using the analogy of a computer, the human body is an intelligence system of it’s own, yet is subject to the natural laws of “cause & effect”. (Now we’re adding quantum physics into the mix.) For every action, be it physical or mental, the body intelligence responds in some way. Chemicals change, neurotransmitters communicate differently, and the innate self-healing controllers do their thing to bring the body back into it’s compensatory balance. (Like running Anti-virus software.) With this said, the intensely potent chemical nature of *Anesthesia* would thereby signal the body intelligence that a *new controller* or *Invader* is on the scene trying to take over, and shut down and over-ride the system. With all of the intricacies that occur in our bodies without our conscious awareness, our intelligence system fights, tenses up, fights some more to maintain *CONTROL* until the *ANESTHESIA* finally wins and the system defenses *ARE* down. Perhaps the second exposure to surgical *ANESTHESIA* resets the machine back to it’s original configuration? It would be interesting to learn how many Fibromyalgia sufferers have experienced a similar occurrence, and to investigate trial studies that administer *ANESTHESIA* to a control group in an effort to establish if this is a treatment option. As mentioned in my previous post, the symptoms that I experienced with the slow and *CHRONIC* appendix leakage is a factor as well, to the extent that it produced a much slower *INVASION* of the body intelligence system than what the medical community is accustomed to observing in patients. It could be that during my first surgery (gallbladder) removal, that a surgical instrument subsequently punctured a pinhole in my appendix. The surgery was laporscopic with an incision through the navel, which means that the instruments used would have been close or near to the appendix. In closing, I have not had any fibro flairs of any kind in almost 5 consecutive months. No neuropathy. No IBS symptoms, No fibro-fog, significant changes in energy levels, no edema, no bloating, fibrous knots are gone and everything else associated with Fibro. I’m no longer taking lyrica, cymbalta, or any other drugs for this affliction. I hope this helps in a significant way, and look forward to responses on this topic. Peace & Healing to all! I’m impressed, I have to say. Actually hardly ever do I encounter a weblog that’s each educative and entertaining, and let me tell you, you have hit the nail on the head. Your concept is excellent; the difficulty is one thing that not enough people are talking intelligently about. I am very completely happy that I stumbled across this in my seek for something referring to this. hi, i am hoping to join this blog. i’m 54 and have had fms for 10 years now. i had it fully under control, so much so that i was embarrassed to say i had it b/c i looked completely normal. may 19 i had pelvic floor surgery; i had six organs that had prolapsed — because of weak tissue b/c of fms. i could and should be the poster child for fms. i have every by-product and every tender point. the surgery lasted seven hours! on may 28, 9 days after the surgery, i could not get out of bed. i had the most serious fms flare-up that i could have imagined. it was worse than when i was first diagnosed. my back felt like knives were sticking into it. i couldn’t kneel, i couldn’t straighten my legs, b/c of pain behind my knees. i couldn’t turn my neck in any direction. normal doses of pain meds didn’t work, but you know about us v. pain medication. our neuro-transmitters are running amok trying to put out the fire that is our pain and normal doses of meds. can’t attach to the transmitters. anyway i’m searching for answers. thank you! I have been suffering for years, and havent gotten a formal diagnosis yet. I have extreme pain, mental fog, and tingling. I also bruise really easy, everytime I go to the doctor, they find nothing wrong. It is hard, because I am a single mom of five, are there any things I can do to ease my symptoms? i was diagnosed with fibro in sept 10.2010. i had been in a couple of accidents and just thought the pain was a result of that but after seeing an abundance of doctors and them telling me i have to live with the pain i finally found a neurologists and a pain specialist who diagnosed me with fibro. i have had quite a few flare ups and they are not pretty, my husband is wonderful but he hates to see me suffer when i have flare ups. one night he had to call an ambulance for me bc i thought i was having a heart attack but after cardio testing at the hospital that was ruled out but the doc call it, i cant remember the word rite at this moment but its the cartilage that inflames and rub against the rib cage and im telling u its painful and scary the doc said its part of fibro. after researching fibromyalgia its alot of stuff that is affliated with fibro i was shock’d. i dont take antidepressants bc im against tht type of treatment so my doctor and i argue alot about it. im not depressed bc i still do my regular routine daily and i never shut any one out unless they agitate me and i do the time out thing. i do take flexeril at night to help me sleep and tramadol prn. i also have graves disease but thats under control since 98′ im glad i have ppl in my circle who have fibro or have someone in their family with it so they understand and dont make smart comments like u dont look sick. i do all i can to keep myself focus and my husband is a comedian so im always laughing. anyone with fibro please keep your heads up and dont let it defeat u, i knw some days are hard but me coming from a background of strong women i refuse to let ths thing take me dwn i didnt let my thyroid disease take me down n i be damned if ima let this fibro do the same. Hey I’m 15 years old and was recently diagnosed with fibro after 4 years of investigation on what was going on with me. I am almost always sick with something. If anybody around me has it I do too. My rheumatologist suggested physical therapy and a gluten free diet. My dad doesn’t understand how bad the pain is and says that there is no need to spend that kind of money on someone telling me how to work out when he could just make me run on a treadmill. I’ve tried the treadmill thing. It causes a flare up every time. Since I’m a freshman in high school, I am required to take pe01 and pe02 I’m in pe02 right now which is completely based on increasing physical fitness at a high level. We run the mile every Wednesday and on the other days e do thing like insanity or p90x. It has gotten really bad and today after running the mile I had the worst flare up ever. I was in so much pain I had to go home. I honestly don’t have a clue what to do. I’m constantly in pain and my parents brothers and friends don’t understand how bad it really hurts. I’m going to a nutritionist in a couple of weeks but for now I don’t know what to do. I’m highly involved in student council volunteering honors courses friends church youth group choir and any club and volunteer work that I can do the fatigue has gotten so bad that I can’t even finish my homework half the time because I’m completely over exhausted. I forget things all the time and have had trouble focusing in class I wanted to be a doctor but right now I can see my dream slowly disappearing I’m not exactly sure what more to do I’m really trying but I’m kinda giving up I don’t want to lose my identity in the process of this I used to be a three or four sport athlete but this year going into high school I decided not to play sports because I was so tired this past summer I had seizures but they weren’t normal they were like convulsions but I was conscious while it was happening all I remember was the intense pain and frustration while it was happening both times it happened I lost feeling in my right side couldn’t tap had stroke like symptoms and lost sight in my right eye for two months I don’t know what to do somebody help me?? Dear Jocelyn: Your comments filled me with great sadness. If you read other posts you will find that mild exercise, proper diet, meditation and avoiding over stimulation of the nervous system is the only known approach to have some effect on fibromyalgia, although some medications do work for some of the symptoms for some people.I wish you had access to a counsellor or someone who could help you work through some of these issues. 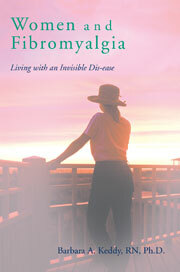 Fibromyalgia at such an early age means that there is hope for relief. It seems as though this syndrome is more difficult to work with as one ages. Perhaps your parents would be willing to read some of the posts here or read my book? Thank you so much for this post. I have known I have had FMS for several years but was unable to have it medically diagnosed until this year. I have 2 young children of my own. My daughter is 2 and my son is 1. They are now telling me that they would not be surprised if I ended up with RA or Lupus in the near future. My husband while concerned doesn’t understand and if I tell him I’m having a flare up he just looks at me and says sorry and keeps doing what he’s always done expecting me to do the same. It makes it so much harder. I know what causes my flare ups most of the time and yet there is nothing I can do about it such as avoiding it. I think knowing what causes your flare ups and knowing that you are not in a position to be able to avoid those things makes it worse more often then not because you are so worried about how bad its will be since you already know its going to happen. To day I would love to be in bed sleeping cuddled up with a heating pad because I hurt so bad and feel so swollen all over. However, I have my little ones to take care of and my job to work at. I hate that I can keep my home looking the way I used to or have the energy for my little ones that they SO deserve. I already know I will have 2 more flare ups in June both of which will be horrible and leave me to only be able to do the most basic of things for the month and part of the next. Its disheartening to know it will happen and to know that it will be on top of the other random ones that come that I can not fore see until its to late. This blog had filled me with hope though and encouragement to know that I’m not the only one out there and there are others dealing with this daily. Thank you so much for that! Dear Kim: Your comments make me sad as you are too young to have so much pain. I am surprised that ‘they’ even suggest you might have RA or Lupus in the next few years? What are they basing this fact upon? If only for a few moments a day you could practice meditation and some gentle movements I believe that after a few weeks life could improve somewhat. It must be very hard if you don’t have the support of your husband. You are not alone and there is hope. Dear Robin: Thank you so very much for that lengthy comment which I know will be helpful to others. Feeling alone, deserted by friends, a spouse who cannot understand, unable to attend social functions…all of these plague so many of us. I did deal with some of the issues regarding long term disability in my book. It sounds like you have yours attended to quickly which is a good thing! Please keep in touch and once again thank you for being so candid. Thank you for this posting. I writing this while experiencing a flare-up at work. I found this site while trying to find something that will help me deal with the widespread nerve tingle and throbbing, but the anxiety is the worst. It came on this time very sudden and with intensity that I have not experience before. I can’t afford to leave for the day, so I find myself pacing my cubicle and waving my arms trying to shake-off the tingling. The anxiety has passed, but now I am exhausted. Seeing this post on flare-ups is a god-send. Dear Joan: You are not alone. This aggravating condition afflicts millions of us and for me often it is the anxiety turned into unexplained panic that can leave me devastated for days. Are you a highly sensitive person? Please read my book and many blogs on this. Daily mindfulness meditation really helps but it must be on-going and it takes awhile to ‘change your brain’. Remember: you won’t die from this and it isn’t a disease, but a dis-ease! My mother sent me a link to this post this morning. As I’m getting ready for yet another drs appt, I recently had what I thought was a flare up but today is day 8 of said flair up. I have switched to a rheumatologist who took a ton of blood ( enough to make me pass out on 2 seperate occasions. I have been wondering this entire time if this flare up is not something more serious. I have slept for 8 days straight only waking to be forced to eat. The pain in my back and legs is beyond what any human should be able to tolerate. My flare ups have never been this bad…. I guess my question is have you or anyone else experienced this? Dear Kelsie: No on on this site can tell ou if what you are experiencing is a flare up of fibromyalgia or something more serious. You would need a doctor’s assessment of this. However, I can tell you that a flare up of fibromyalgia can last for a long time, particularly if you are lying in bed and not able to get up. If it is fibromyalgia lying in bed is the worst thing you can do. It is imperative that you move and not become even more stiff. If it seems impossible to do and you have been told that it is a fibro attack then gentle movement, relaxation techniques, proper nutrition are all fundamental to recovery from the flareup. I have been in what my doctor calls an “fibromyalgia episode” for over two years now. I have severe difficulty getting out of bed, however, I HAVE TO. My ex-husband left me 4 months into trying medications, heck anything to be myself again, after 22 years of marriage. He left me with the responsibility of 5 animals which makes me get up. The only way I have survived these past 2 years is my symptoms are being treated so I can function because I HAVE TO. I have not gone out, I do not drink, I have zero social life, I have nothing left. I could not even accept that I had fibromyalgia, my doctor of 8 years diagnosed me, I then went to a rheumatologist who diagnosed me, still not good enough, I went to another doctor and she confirmed the diagnosis. There is no way I have this illness has been my mind frame and has been the worst part of this, accepting and trying to live. I had surgery that went wrong on my left wrist, I am unable to use my hands most all the time. I am 48 years old and have no job, no means and have days I am unable to move to even drink a glass of soda sitting right next to me. I am down to 78 pounds. I feel I have lost this fight because I was diagnosed with ADHD as well. So mentally and physically I am useless, what am I to do with my life? i found out 2 days ago i have fibromylagia. i already take rx for anxiety and the cymbalta gave me a horrible reaction.i felt like i got a shot in my arm with speed. i couldnt close my eyes,sleep and was up walking around all night long. i had this horrible feeling inside me …like i was gonna take off.not going to take it again. THis is the worse flare up I have ever had in my life!!!!! I was screaming today in agony!!!!! I think I scared my friend who is an RN and never saw anyone in this kind of pain!!! And yes, this is the worse it has ever been!!!! Flare ups are not forever so try to keep up your spirits. Meditate, take a warm bath, do some light exercises. Do not panic! Cant say enough about nutrtion. Gluten and dairy free. Whole foods. Yoga. Acup cture. Moving. Staying active. Staying positive. Thought i was dying of cancer. Happy rather to live with fibro. I have recently been diagnosed FM when I saw a rheumatologist for OA. I have pain everywhere and it overlaps before I can catch my breath. I’m a 57 yr old female and my heart goes out to all of you who have brrn suffering for many years. I hope research can find us a cure or treatment to heal in my lifetimr. I hurt! All over, again, today, but this time seems to be worse…..but wait don’t I say that every time I have a flare. I can relate to the traveling pains and symptoms. Sometimes just achy all over, other times headache, stomach distress, cold, fatigue, low grade fever…I never know what I am going to get. What I do know is that once it hits it takes a week or longer to pass. I too struggle with concern over symptoms being something far worse and ignoring them thinking this too will pass. I have seen so many doctors and been poked, x-rayed, radiated it is scary and to know avail they find nothing. The flare-ups are more often and more severe now. I am desperate for answers and don’t feel satisfied with it being fibromyalgia. How can something hurt so much and take control of your life. Thank you for this post. It is some comfort to know it is not only me, but saddens me that others go through this horrible disease. Dear Rachel: it isn’t a disease but a dis-ease of the central nervous system. This requires less medications and a disciplined approach to strategies to soothe the nervous system. Not easy! I struggle with this daily. My thoughts are with you! Dear Sonjia: it is likely that there won’t be a cure but will depend upon us to take control of our own bodies by calming our nervous systems. Not an easy task; it is my challenge too! Dear Joanne: The burning, searing, shock-like, tingling, excruciating, dull, aching pains are part and parcel of this demon we are all struggling with throughout this process of living with fibro. I have been in a flare up for months now combined with a hip that may require a replacement. I often don’t know where he pain in the buttocks/thigh/ leg is actually originating from. This isn’t easy so keep up your spirits by knowing you aren’t alone! To all of you attempting to cope with this mystery illness, I have to say that the saving grace in all of this was my personal path toward wellness and illness driven interest in nutrition. once I returned back to the basics of what all other mammals exist on, I was able to find me again. Initially the joint pain that had me in tears when getting up in morning and from couch or sitting rectified when I cut out dairy products. Then, the headaches and random deep disabling pain that put me in tears and had me crawling across the floor, lifted when I restricted wheat, but also any high glycemic foods like sugar. I woul dbe up late making a cake for one of my 5 children and awake then there would be eye pain, head pain, falling to the floor sometimes, and odd varying nerve and pain responses that I did not understand. Licking my fingers and spoons etc after all the sugars and flour and fresh whipped cream. Once I made the connections my life change tremendously. And then I also realized how sensative I am to heat and stress – which was never the case. I believe its nerve damage over the years. I had a flare up months ago that reminded me of the stress, staying up late, etc and how I needed to truly watch my self care. But, on the positive, it drove me deeper and motivated me to get into raw foods and even minimal meats now as I see how that can tired me as my digestive tract digests the food. I cannot say enough about the power of the body to heal and recover when given the right ingredients 🙂 Acupuncture has been an added plus and recently returned to yoga. Feeling like myself again and more and more motivated to help others with chronic pain. To add, like with many of you I am sure, My doctors could never tell me what was going on after labs continued to be “with normal range” and my pain and symptoms were not ‘fitting’ and forever changing making it hard to describe. I am so grateful I have found the answers from listening to my body.. good luck to you all. Hi Barbara, thanks so much for the positive inspiration and the sensible advice you offer in the feedback you provide. Living with this dis-ease can be very frustrating and lonely at times. I was feeling so disheartened when I started surfing for sites to help me cope with my current flare-up. But my courage has been restored by reading all the posts. The only people who can truly understand what we are experiencing are fellow suffers. Its wonderful that we can share and draw strength from each others experiences. May God bless you all and give you the courage and strength to endure the bad days and to appreciate His grace on the good days. Thank you Bonnie. you are right- good days and bad days- sometimes good hours and not so good hours! I hope that the many, many blogs and comments on this site over several years have helped in some way. I am a 62 y/o F just recently dianonosed with FM. Three weeks ago I went to see my Rheumatologist for pain in my lower joints and also I told him I have severe pain in my neck,shoulders and back. I had an episode of not knowing what to do with the dishes I had just recently taken out of the dishwasher. This has been going on for months, but I couldn’t stand the pain. He then gave me Cymbalta and took me off from work for a couple of weeks. The neck pain has diminished to some degree, but the restless leg at night is awful. Haven’t slept with any peacefulness for at least 1 month. I am at the point where I am seriously considerering an early retirement in November. I am a Manager-Nurse in the Operating Room and I can’t remember half of my job duties, I am easily filled with anxiety/Panic attacks and can’t stand to be in the company of co-workers and some family at times. The one thing I wanted to say was that it was very comforting just reading what others have been going through. It was amazing! It was as if anyone of you had a mirror and looked right into my life,household, and personal living. I am prayerful that these sysmptoms will diminish and quietly leave just as they came.I hope that all of you who are suffering as I, will get relief in taking measures in reducing the stressors in your life, even if it means no job, cars, finding a loving home for your pet(s). We must be true to ourselves, and live lives that are compatible to our existence and well being. Dear Phyllis: Thank you so much for your insights. It is truly a perplexing journey wading through the meds that are offered, side effects from them (like Gabapentin which I have been taking for years and causes weight gain), how to keep up mild exercise, living with brain fog. Restless legs are dreadful! Sometimes it helps to know we aren’t alone. I wish I could say that fibro disappears as we age but I have not found this to be so. Since I believe that fibro is caused by stress and anxiety which results in a chronically hyper-aroused nervous system, the only recourse is to find ways in which the nervous system can be tamed. I believe that living in the moment, mindfulness meditation, is a very valuable tool for doing just that. But it takes discipline and a long term commitment. Wishing you best wishes as you make that big decision about retirement. I would urge you to look up ‘inflammotory foods’ on-line and avoid them like the plague. As well as Anti-inflammatory foods and make them a part of every day- via soups, smoothies, salads, essential oils, etc. even drinking the juice of one lemon in water can make a reduction in inflammation. Also yoga is priceless regardless of your age or strength. Helps with stress, muscle and joint pain and tightness. Make sure you are hydrated. Also, anxiety and depression visiously cycle with the various symptoms of Fibro as you never know what will hirt next, what level of dysfunction it will place you in, what your future will be like, and/or if odd symptoms ate something bigger u r missing. If u tell yourself that if will get better, that you ate in a flair, that ots part of the illness, and that ots a remonder to telax, not stress, and take care of ypurself, you can grestly reduce the intensity of it all. Try your best to get tegilar good sleep, not eat just before bed, and not be on electronics before bed. Reading can be a wonderful thing as well.